Imagine you get the awful news that you have cancer, or a brain tumour or multiple sclerosis. You’d feel like your world is falling apart but who could you turn to? Friends and family will be supportive but they won’t have a clue about how you’re really feeling or how to help you cope. Do you pay a visit to Dr Google and scare yourself half to death with the half truths and misinformation you’ll find there? Wouldn’t it be great to have a professional advisory to turn to who has helped people in your situation. This is where the value added benefits on life insurance policies are so useful. It’s a shame that most people don’t know about them so in this article I’m going to lift the veil and show you parts of life insurance you never knew existed. Recently, I was told of a case where a woman with young children had been told to clear her diary for the next six months because she was going to go through gruelling cancer treatment (30 rounds of chemotherapy, after already having two surgeries and 16 biopsies). In her words, “I ceased to function”. On the way to her first chemotherapy appointment, Best Doctors’ clinical director personally rang her and told her that they had retested her pathology results and she didn’t in fact have cancer, and shouldn’t under any circumstance have the treatment. Their expert second medical opinion service had identified that she had an autoimmune condition, not cancer. However, experiences like this underline the importance of the value added benefits to life insurance, income protection and mortgage protection. 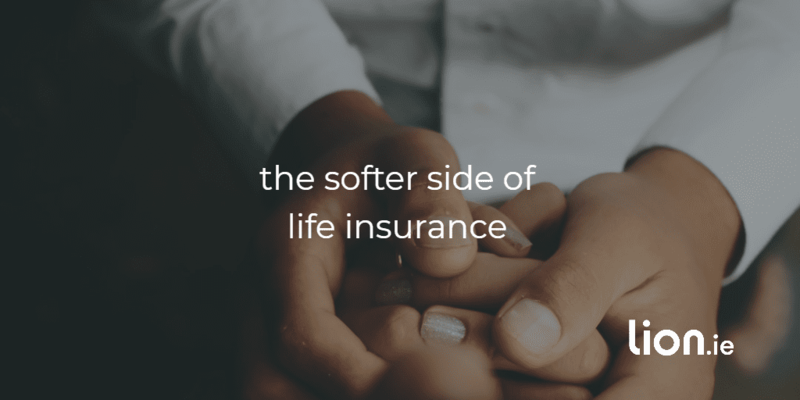 You see life insurance isn’t all about the monetary payout – of course that’s the most important part but there are so many more good things on offer that you probably aren’t aware of. Why have they introduced these benefits? 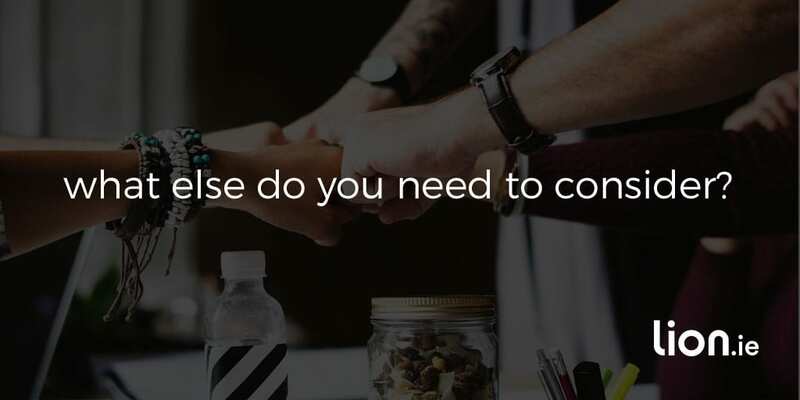 Let’s not kid ourselves – the main reason is to differentiate themselves from the competition and win more business than by competing on price alone. But there is a powerful secondary benefit – building general trust in life insurance. You see the chances of you availing of these services are far greater than you making an actual claim. It’s fairly typical for a client to say the support they received was even more valuable than they pay-out itself. Word of mouth like this is invaluable for an insurer. Can your whole family use these services? Helping Hand is limited to parents and children. These benefits are available to you and your families for free at any time, even if there is no reason to make a death, income protection or serious illness claim. Value added services give you an ongoing benefit that you can use at anytime. RedArc nurses are always available, there’s no ticking clock that limits how long you have access to them or how many times you can contact them. You can ring them for a chat if you’re feeling down or even better if something good has happened! Think of me as your trusted financial advisor and RedArc as your trusted health advisor, our doors are always open. 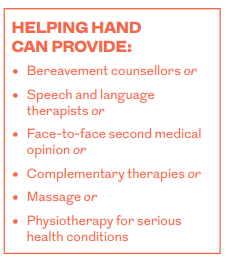 Recently I referred a client of mine to the Helping Hand service. She is claiming on her income protection policy with Friends First but she has the Helping Hand benefit with Royal London. It shows the benefit of splitting your cover across multiple insurers – more on the below. How do you access Helping Hand? Royal London will contact RedArc and will write to you letting you know that a Nurse Adviser from RedArc will be in contact and further explaining what to expect. Your Nurse Adviser will call you, introduce themselves and explain how the service works. Your Nurse Adviser will take the time to understand how they can help you both emotionally and practically and will put in place a schedule of regular support calls. If appropriate, the Nurse Adviser will advise on additional supports that could help speed up your recovery and may put you in contact with a specialist nurse or recommend other services to aid recovery. Listen to Mark’s story on how Helping Hand helped him and his wife when she was diagnosed with cancer. Aviva recently bought Friends First. From Nov 1 2018, all new Friends First policy give you access to Best Doctors which used to be exclusive to Aviva. Will the treatment be right? Best Doctors brings the world’s leading medical expert to you and your family, giving you the peace of mind of a second opinion when you need it most. They can help you with those questions that won’t stop racing through your mind. But Best Doctors isn’t just for life threatening conditions. You can use the service for anything that affects your quality of life…from headaches to heart conditions. But as it’s a second medical opinion, you should have already consulted a specialist in Ireland and it can’t be used for conditions that would need face-to-face contact such as acute ailments or mental health conditions. How do you access Best Doctors? You make a confidential call to Best Doctors. A dedicated Care Manager has an in-depth discussion with you about the medical condition and obtains a full health history. They collect all appropriate medical records, images and test samples. Their clinical team conducts a comprehensive analysis of the case and selects the most appropriate expert(s). The expert reviews the case and provides Best Doctors with a detailed report that includes his or her recommendation(s). They share the report with you, as well as with the treating doctor, with your consent. They follow up to see if you need any other help. Throughout the process, your Care Manager is available to answer your questions. Let’s move onto the final provider who offer access value added services. Irish Life provide a medical second opinion (MedCare) service through a company called Mediguide and they alsooffer access to two confidential nurse helplines (NurseCare) through Intana Assist. NurseAssist Available 24 hours a day, 365 days a year. And finally, let’s look at what’s on offer at the final two insurers. This shouldn’t take too long. What’s the best way to access all of these packages? It’s simple – don’t buy your cover from one insurer or bank. Let’s say you need mortgage protection for your bank, life insurance to protect your family, serious illness cover to provide a buffer against short term serious illness and income protection to protect you in the case of long term inability to work. Approach KBC, PTSB, Ulster Bank, EBS or AIB, and they’ll only sell you Irish Life policies – it may seem handy at the time but now you know what you’re missing out on. However if you’re clever and use a broker, you could choose policies from various insurers and get ALL the value added benefits. Mortgage protection – Royal London : you’ll get dual life, convertible cover which is better than joint life, non convertible cover at Irish Life. And you get access to Helping Hand. Life insurance and serious illness cover – Zurich Life : best serious illness cover in the market if you ask me. Income protection – Friends First : you’ll get the best income protection product available and access to Best Doctors. Anything you should be wary of? Yes, the big caveat is that the value added services are offered by third parties and can be withdrawn at any time. I’ve probably made choosing an insurer even more difficult now, you were about to pull the trigger on one policy but now you’re in two minds? Buying life insurance is an important decision so you should consider all eventualities, it shouldn’t be as easy as choosing which socks to wear. If this provider doesn’t offer value added benefits, don’t worry too much, you’re covered and that’s the main thing. Right, that’s enough from me, I’m here to help you choose the right insurer based on your own health so if you have a pre-existing condition and would like some advice, please complete this short questionnaire and I’ll be right back. When it comes to insurance, you might think that price is the most important factor. Sure you’ve filled in your details and used an online quote calculator for Life Insurance, and you’ve got a list of insurers with prices listed from cheapest to most expensive. You’re probably thinking it’s a case of picking the cheapest quote. As it so happens, it’s not just a case of picking whichever insurer is cheaper. So what else do you need to consider? Find out here.